KING CRAB TAVERN looks like it's just a bar when you're looking at the exterior, but it's actually one of the best seafood restaurants in the area too! You're definitely not limited to just king crab here. Try the crab cakes or blackened tilapia. Delicious! The Sunday brunch serves up all you can eat snow crab legs for just thirty bucks, so that's always a big draw for everybody in the Lincoln Park area. If you love escargot as much as we do, you will want to spring for their delicious appetizer. Don't miss this one if you're a seafood fan! 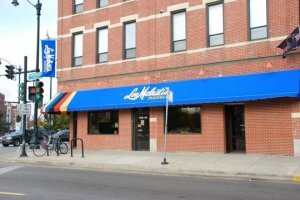 Great place to go after work for drinks, a great bite to eat, and good times with friends or coworkers.